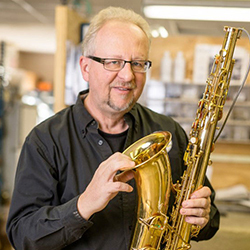 Exceptional value in sales, rental, customer service and community support has been the hallmark of Buddy Roger’s Music’s Commitment to Excellence since 1957. The world has changed a lot since our founding and our business has evolved to embrace the changes and new technology. Our core competency of providing great service to our customers has not changed, however, and remains the foundation on which our business continues to evolve. Southern Ohio, Northern Kentucky and Eastern Indiana regions through its retail showroom, school specialty in-school service, repair service center and associate stores. Knowledgeable and experienced people are the key to providing schools with our outstanding service. Our school representatives provide consistent, weekly service that is coordinated with each teacher's schedule and tailored to each teacher's needs. 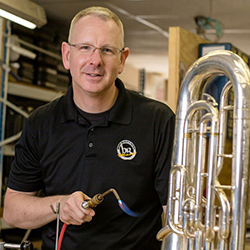 The range of services available through our reps includes sale of instruments and accessories, pick up and delivery of school repairs, coordinating all student rental activity (fittings, new rentals, exchanges, repairs) and each is trained in effective recruiting techniques to assist the music educators. Our professional PowerPoint presentation of our Lease Plan helps parents clearly understand their options and encourages participation. Continuous training and education of our school reps helps keep educators up to date on the latest trends, materials and technology.